On an otherwise ordinary day, a disheveled 26-year-old woman opens a door, steps outside, and runs. Ivy Moxam has spent half her life imprisoned in a cellar, kidnapped at the age of 13. Created and written by Marnie Dickens, this suspenseful British miniseries stars Jodie Comer (Lady Chatterley's Lover) as Ivy and Katherine Rose Morley as her young sister Emma, who's not convinced that Ivy is who she says she is. Seen on BBC America. 5 episodes, over 4 hrs, 2 DVDs. 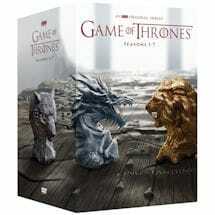 All 5 episodes are included in this collection.